Black violet color. Aromas of blackberry jam, bacon, almonds, lilac, marinated artichoke hearts, and southern biscuits with a chewy, vibrant, dry-yet-fruity medium-to-full body and a warming, interesting, medium-long salted dark chocolate and spiced carrots finish with chewy tannins and moderate oak. A inky red from the Outer Coastal Plain full of dark fruits and smoky richness. Bottom Line: A inky red from the Outer Coastal Plain full of dark fruits and smoky richness. 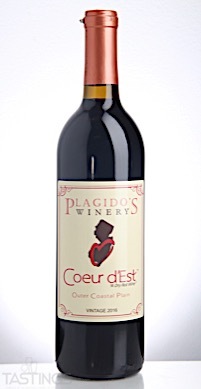 91 • Plagido’s Winery 2015 Coeur d’Est, Outer Coastal Plain 12% (USA) $29.99. 93 • Plagido’s Winery 2016 Estate Bottled, Chambourcin, Outer Coastal Plain 12.5% (USA) $17.99. 89 • Plagido’s Winery 2016 Estate Bottled, Cabernet Sauvignon, Outer Coastal Plain 13% (USA) $32.99. 84 • Plagido’s Winery 2016 Estate Bottled, Cabernet Franc, Outer Coastal Plain 13% (USA) $24.99. 84 • Plagido’s Winery 2016 Estate Bottled, Cabernet-Merlot, Outer Coastal Plain 13% (USA) $29.99. 87 • Plagido’s Winery 2016 Coeur d’Est, Outer Coastal Plain 12% (USA) $29.99. 85 • Plagido’s Winery 2017 Rosé, Outer Coastal Plain 12% (USA) $14.99. 80 • Plagido’s Winery 2017 Cayuga, Outer Coastal Plain 12% (USA) $16.99. 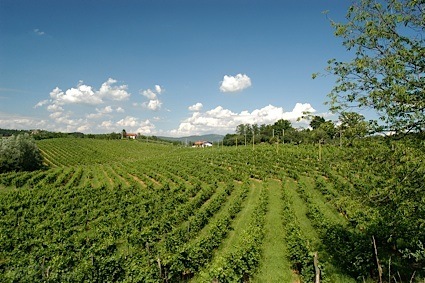 90 • Plagido’s Winery NV Blackberry Vigoroso Sweet Wine, Outer Coastal Plain 17% (USA) $19.99. Plagido’s Winery 2016 Coeur d’Est, Outer Coastal Plain rating was calculated by tastings.com to be 87 points out of 100 on 8/8/2018. Please note that MSRP may have changed since the date of our review.